Three people who spend every day working for education in both the state and the country will serve as commencement speakers for Sam Houston State University’s three ceremonies May 15-16. U.S. Senator Kay Bailey Hutchison, Texas State University System Regent Michael Truncale and educational consultant Mike Morrow will address some of the more than 1,700 students who have applied for degrees through the SHSU Registrar’s Office at 6 p.m. on Friday and at 10 a.m. and 2 p.m. on Saturday. Approximately 80 percent of those who apply for graduation participate in the ceremonies, according to the SHSU Registrar’s Office, but this year, there are about 101 more students who have applied for graduation than last May’s record number. Hutchison will address the 2 p.m. Saturday graduates, Truncale will speak at the 10 a.m. Saturday ceremony, and Morrow will deliver the Friday evening ceremony’s speech. In addition to having three speakers for the first time in SHSU history, commencement ceremonies will be split by majors instead of colleges. For a complete graduation schedule, outlining when students from particular majors will receive their degrees, visit http://www.shsu.edu/~reg_www/graduation/commsched.html. The first, and only, to date, woman to be elected to the U.S. Senate from Texas, Hutchison has served in Congress since 1993. A La Marque native, Hutchison’s Texas roots run deep. Her great-great-grandfather was a signer of the Texas Declaration of Independence, and his friend, Thomas Rusk, of Nacogdoches, was the first Texan to hold the U.S. Senate seat she currently occupies. 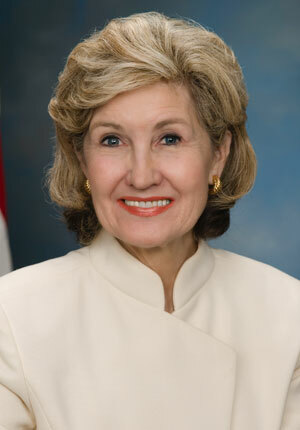 As a senator, she has played vital roles in shaping America’s defense policy; worked to secure funding for an additional 1,500 border patrol agents to strengthen the enforcement of immigration laws; championed tax relief for working families; authored many initiatives within the “No Child Left Behind Act,” including a provision to help recruit mid-career professionals and retirees into teaching positions; and led efforts in 2006 to repeal the anti-competitive Wright Amendment, which limited flights out of Dallas Love Field Airport. In her 2000 election, Hutchison garnered more than four million votes, the most ever captured by a Texas candidate. She is a graduate of the University of Texas at Austin and the UT Law School. Her previous governmental work includes two terms in the Texas House of Representatives and as Texas State Treasurer. The senator lives in Dallas with her husband, Ray, and their two children, Bailey and Houston. Truncale was appointed to a six-year term on the Texas State University System Board of Regents by Gov. Rick Perry in September 2007. A senior partner of Orgain Bell & Tucker, LLP, in Beaumont and The Woodlands, he is a member of the State Bar of Texas, Texas Association of Defense Counsel, the College of the State Bar, and the Defense Research Institute. He is board certified in personal injury trial law by the Texas Board of Legal Specialization, represents clients in a variety of commercial litigation, is a certified mediator in the United States District Courts in all state courts, and is also an arbitrator. 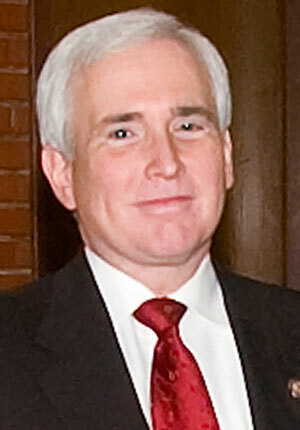 Truncale is widely recognized for his leadership and involvement in civic, cultural, political, and church organizations serving as president of the Jefferson County Bar Association, the Jefferson County Young Lawyers Association, the Symphony of Southeast Texas and the Beaumont Heritage Society. He currently serves as a member of the State Republican Executive Committee and as a lay Eucharistic minister at St. Mark’s Episcopal Church in Beaumont. Truncale graduated from Lamar University in 1978 with a bachelor’s degree in economics, and he earned a Master of Business Administration degree in banking and finance from the University of North Texas in 1980. He received his law degree from Southern Methodist University School of Law in 1985. He and wife, Denise, have been married since 1981 and have two daughters, Lacey and Lauren. Morrow served as the superintendent of the Texas Department of Criminal Justice’s schools, in the Windham School District, which offers educational opportunities to the entire inmate population in the state. The Kaufman native has been recognized by the Texas House of Representatives for his work in human relations. Involved in Texas public schools since he was six years old, he completed high school in Kaufman and graduated with bachelor’s and master’s degrees from Texas A&M University-Commerce, formerly East Texas State University. He began his career in education as a teacher in the Northeast School District in San Antonio and spent 15 years in the district serving as a classroom teacher, assistant principal, and as high school principal at both the Roosevelt and Churchill campuses. Morrow was the first executive director of the Association of Texas Professional Educators, today the largest professional educator’s organization in the state. He also has served on numerous state and national boards and commissions including two terms on the board of directors of the National Congress of Parents and Teachers. Mike was a member of the Governor’s Council for Career Education. Morrow currently serves as an educational consultant, specializing in public education policy issues, and is an adjunct lecturer in SHSU’s College of Education. 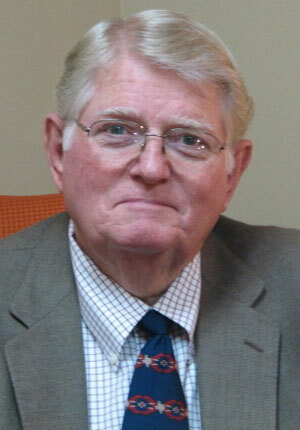 He also is a frequent speaker for the state and national educational and business organizations and forums.